Incline freshman Millie Jenkins tied the high school’s high jump record early in the track and field season. A couple weeks later, her sophomore teammate Sami Giangreco set a new standard. 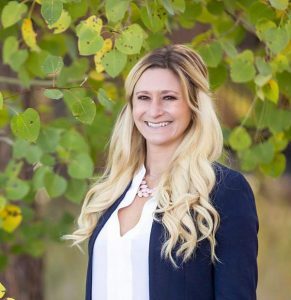 After making the record jump, Giangreco said to head coach Thomas Reymer that she wanted her name up on the wall of the gymnasium with the school’s other record holders, and fast. She knew Jenkins could break that record in the near future. 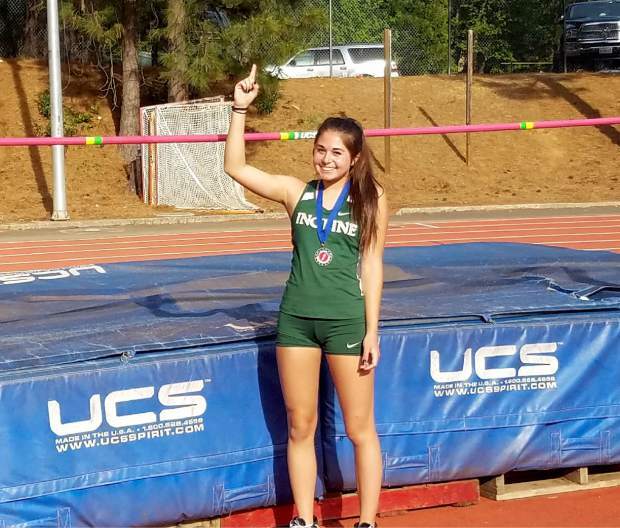 After holding the record for nearly one month, 26 days, Jenkins put her name back on top Friday, May 4, with a record leap during the Kays Ostrom Invitational at Nevada Union High School in Grass Valley. Jenkins reached 5 feet, 2 inches breaking Giangreco’s mark by 1 inch and topping a strong field of 23, which included jumpers across all divisions. Her previous best this season was 5-00. Jenkins led a group of five girls from Incline to a 15th place finish out of 26 scoring teams and 32 schools overall. Jenkins has competed seven times this season in high jump events across Nevada and Northern California and has earned four first-place medals and been second once and also earned a fourth and sixth. Jenkins also produced the Highlanders next best finish, a fifth place in the 100-meter hurdles out of 18 competitors. She set a personal best time of 17.30 seconds. Giangreco wasn’t too far behind in the high jump, reaching a height of 5-00, good for eighth place. It was the second time that Giangreco has reached 5 feet, the first being her record-setting leap. Giangreco also finished eighth in the discus with a toss of 89-04.50 and set a season best in the 100-meter dash (13.76). Also for the Incline girls, Haley Carlson recorded a personal best in the long jump (13-02.75) and came in 11th in high jump (4-08), Belle Johnson was 13th in pole vault and 25th in long jump, and Jenkins was 20th in long jump (14-01). Incline freshman Niklas Pietzke earned the boys top finish and also recorded a couple of personal bests. Pietzke came in 10th in the 3200 out of 22 runners in a time of 10:53.55 and also ran the 1600 in 4:56.31 to finish 19th out of 50 milers. Also for the boys, freshman Bradley Rye was 11th in pole vault (10-00), Esten Flores was 13th in shot put (38-10.75) and 21st out of 44 in discus with a personal record of 105-05, freshman Noah Cleary set a personal best in the discus (88-09), and Dylan Cleary set a PR in the 400 (54.27) finishing 15th out of 38 sprinters. Next up for Incline is the Nevada interscholastic Activities Association Class 2A Boys’ and Girls’ Track and Field Championships Friday and Saturday, May 11-12, at Yerington High School, about two hours away from the North Shore.